It feels as though I have been away from WP for a long time – Hello again, it is nice to be back here! The truth is, I have wanted to write for a long time – I have had thoughts buzzing around my head, but the idea of sitting and writing them into a cohesive piece seemed like too much effort. Winter took a real toll on me, with low energy and mood, and I quite literally ‘withdrew back down to my roots’. Then, with the turning of the year into 2014, FLIP! – It was like a switch being flicked in my head.. suddenly, for no apparent reason, I found more energy, I felt inspired, plans formulating in my mind, my heart opened…. all through no conscious effort, no decision, no doing on my part. It was like a natural biological happening. I am happy and thankful this, and it is odd, as we are still in Winter… and yet psychologically it feels like Spring to me. Perhaps it is the idea of a whole New Year ahead of me, fresh, new beginnings to play with and time enough to make them happen… perhaps it is the time passed since the Soltice, the drawing away of the dark nights and the Sun is calling, “I am coming! I am on my way!” As a Pagan & one sensitively attuned to the rhythm and beat of each season, and one who did indeed celebrate and honour the Solstice, I can well believe this could, indeed, be the case. 2014…. ah, I welcome you! So far every day – every day – has been calm, easy-going, free of stress, and, wonder of wonders, plenty of time. Having ‘enough time’ has been something I have struggled with. I have felt I am always rushing, always struggling to stay on top of things, always worrying about time, time, time… and suddenly, here I am, with apparently more than enough to get things done. Relaxed – that is the word for 2014! I am, mentally, spiritually, physically relaxed. Where has this extra time come from? Nothing has changed in my life since the end of 2013! I do not know, but I am very, very thankful. I feel like I am in a warm slip-stream, flowing with effortless ease. 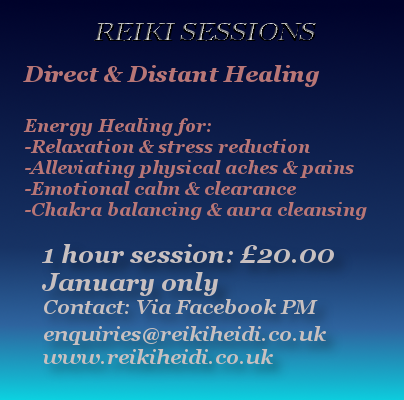 To emphasise the fact that 2014 is a good year, I have had some physical manifestations of goodness: a friend of mine whom I have given Reiki to, and who was having a very tough time indeed, told me that shortly after the Reiki session that her whole situation turned around and her life transformed. I was so happy for her, and happy that I was a part of that process. This was a good sign of things to come! 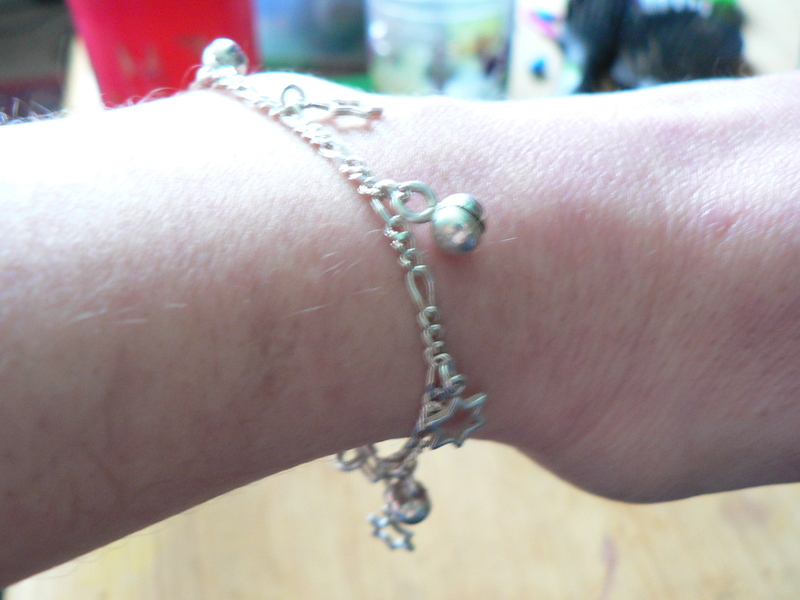 Also, I finally finally found it – My Silver Star bracelet, as ‘given’ to me in a vision by Araianrhod. It is not exactly as I saw in my vision, but close enough – plus I found it on a street stall in my own city, rather than online or in a chain store, which feels much more meaningful. That I have found this bracelet means a great deal to me, it feels like the completion of an important task, and a step forward… to what next, I do not yet know, but I am ready and willing to see! Another special item that I have acquired is this beautiful piece, which was a christmas present from Neometheus. It is flexible material and can be worn on the wrist or the upper arm. 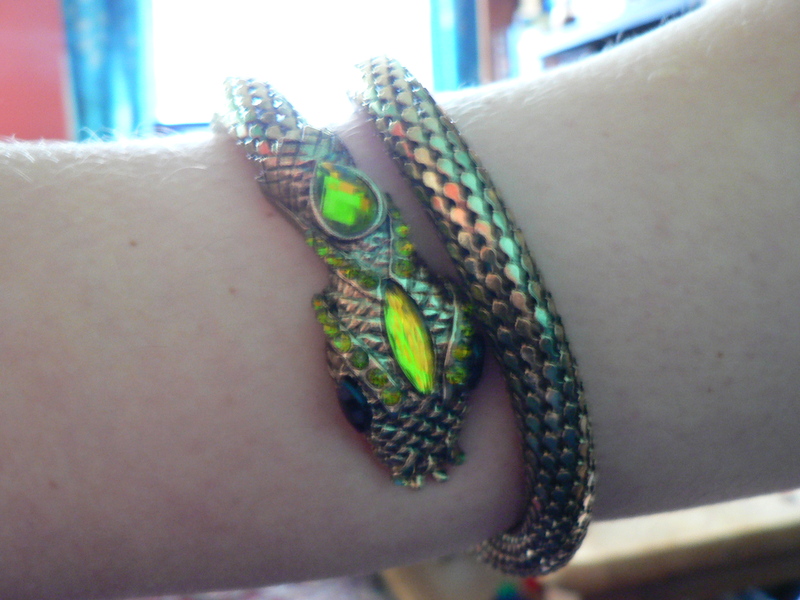 The Serpent, gold and green, has several connections and meanings for me, and I would love to be wearing this all the time, though alas it is not practical. The gold-and-green colouring is physically akin to my own Snake animal Totem. The piece reminds me and feels like a connection with my Celtic (Spiritual) ancestors, a people I have long regarded with awe and inspiration. So to gain two pieces of meaningful jewellry at the start of the year is a special and significant thing for me. I have plans that I want to initate for my Reiki business, I want to further develop my Spiritual/Shamanic progress and knowledge, other projects to begin… ah, so many wonderful things to do and plan and learn and become! Yes, I think, I hope, I believe that 2014 is going to be a very good year! I have another blog article lined up, thanks to a question from a fellow blogger and dear friend, Linda at Litebeing Chronicles, regarding the essence and fundamental meaning of Guardian/Spirit/Totem animal guides. I have always simply taken for granted their Being-ness and help, but I have never sat down and thought about the logisitics and reasons for their presence. Linda has raised an excellent question, that I am currently in the process of thinking carefully about, to put into a cohesive and understandable explanation. Hopefully I will be able to publish this soon. I hope your 2014 has started well, your comments and queries are always & as ever, welcome. And, in the meantime, just in case it may be of interest to you, I shall leave you with this…. 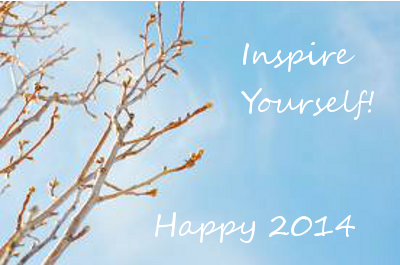 Posted on January 14, 2014, in Uncategorized and tagged 2014, Happiness, Hope, Life, Optimism, Reiki, Spirituality. Bookmark the permalink. 5 Comments. Also thanks for mentioning me here. Happy to be a source of inspiration for you. May abundance and joy be made manifest for you throughout the year. Sorry – I meant to ‘Link’ you, but I forgot to add the link thing – clearly I have been away too long! its never too late to link lol!